← READ (Small Press) HORROR! It’s October. 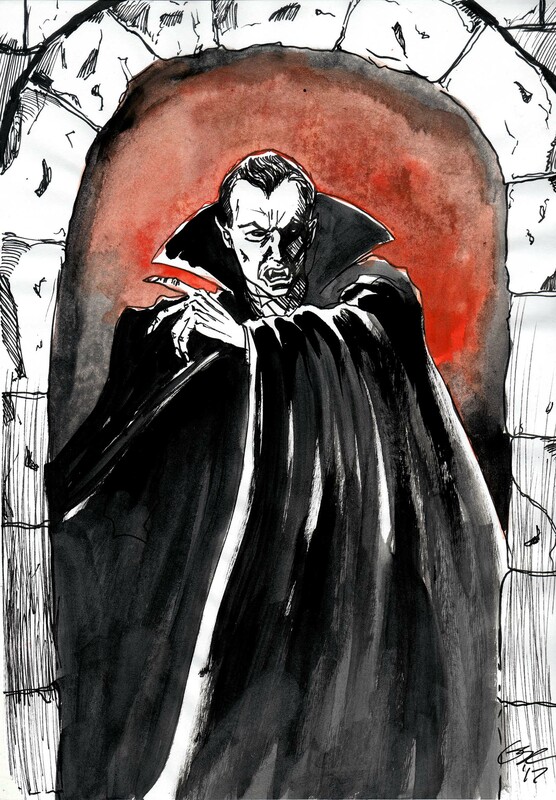 That time of year when I go into full Halloween mode with creepy art and even creepier words. Being an Australian, (living in a regional city with about a population of about 70,000 people) where Halloween hasn’t really caught on (yet), I feel like I’m the only one getting into the spirit. But there’s a revolution happening. For the past four years, my family and I have decked out our front yard for Halloween and attracted hundreds of trick ‘r treaters (check out this time lapse from a couple of years ago). Last year we also ran a small fundraiser for the Heart Foundation and we raised about $200. Every year we have to make our display bigger and better so the pressure is on, but I would be lying if I said I wasn’t excited. Halloween is my Christmas (I love Christmas, but I love Halloween more). I go creatively crazy. It’s the time of year that I just want to write and draw. I’m sure other horror writers feel the same. I’ve started a challenge to draw a Halloween themed illustration every day in October. So far I’ve done two. Better yet, because it’s Halloween, and I like to giveaway treats, I plan to give one lucky perso n ALL of the original artwork when they’re done. Yes, that’s right – I’m going to give the artwork away! 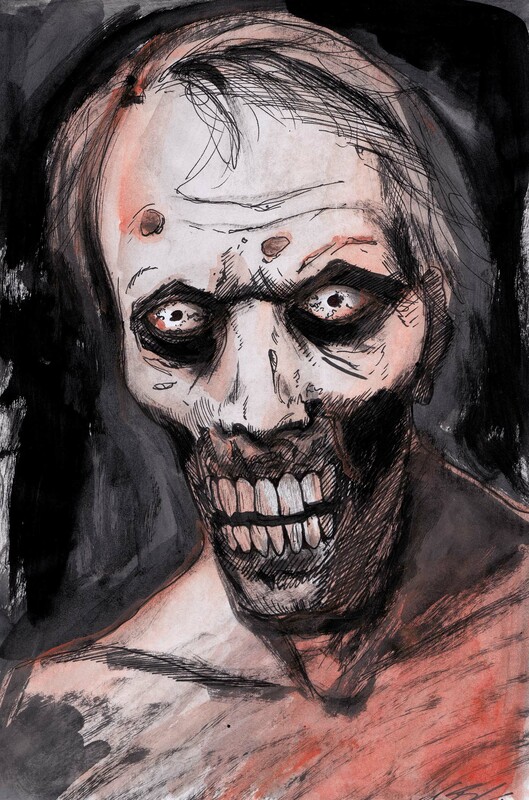 So keep an eye out on my Facebook wall every day to see what I draw next. And the Halloween generosity continues. 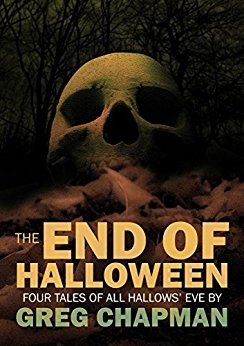 My collection of stories, The End of Halloween is on sale for just 99 cents over at Amazon! The book is also part of a massive giveaway, hosted by my author pal Patrick Reuman (note the giveaway is only open to US residents). Be sure to check out the giveaway and the book online. 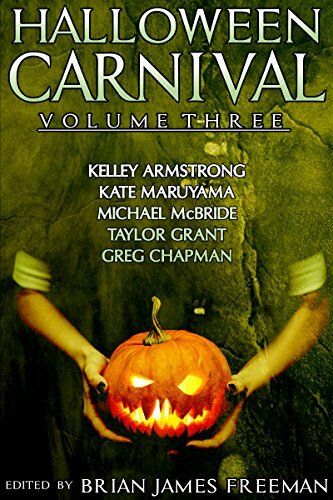 Last but certainly not least, my novella, The Last Night of October, has been resurrected in the pages of Halloween Carnival – a five-volume anthology series published by Cemetery Dance and Random House/Hydra. Volume 3 will be published on October 17, but you can pre-order it now. It’s great to be sharing word space with authors such as Kelley Armstrong, Kate Maruyama and Taylor Grant. The novella is regarded as one of my best stories, so I hope you can consider picking up a copy. If you don’t hear from me I hope you all have a fantastic Halloween! Keep it creepy.